lame, really. But after a lot of really depressing entries I’m going for humor here, lame and dated or no. Ready for some desperate nostalgia? 10. Because lord knows, you probably don’t have enough white printed t-shirts! 8. There just aren’t many migraine products out there for us, especially if you’re tired of purple and awareness ribbons. 7. If you aren’t a migraine sufferer, you won’t feel weird wearing it. 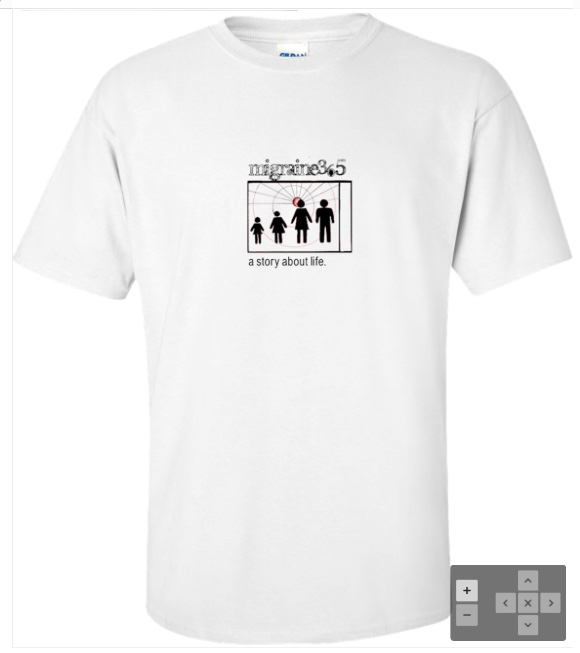 The logo and title are for the book project, meant to appeal to everyone (“a story about life”). You’ll dig it the most! 6. 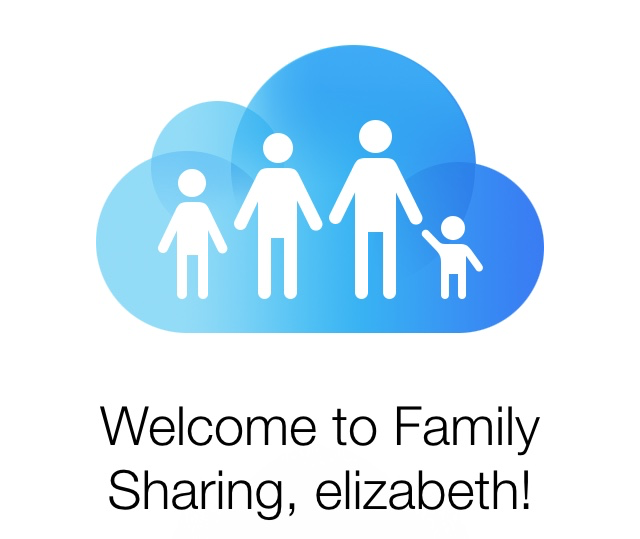 Apple recently used a similar image for its iOS 8 Family Sharing plan, so you know how very hip you will be. 5. The shirts are high quality Gildan brand 100% cotton. No funky too-high collars or too-stiff / too-thinness. My mom has a Gildan “Live United” shirt and it is SUPER nice. 4. At $20, not the cheapest tee you’ll ever buy that’s for sure, but most of the funds will directly support my Migraine365 project, helping with needed supplies like paper, watercolors, artists’ pens and pencils, and also the amazing amount of time and effort spent on each day’s piece. 3. The Winter holidays are fast approaching! 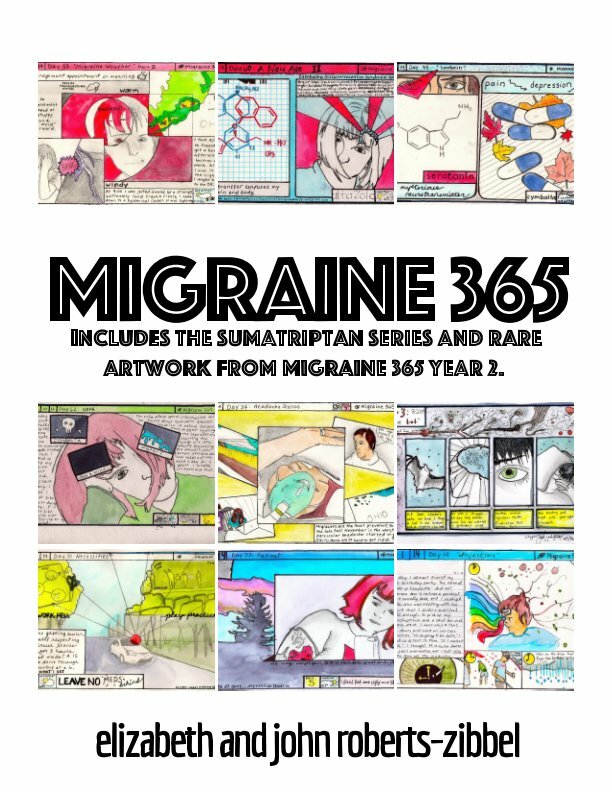 What an incredibly unique Hanukkah, Christmas, Solstice, or Festivus gift you could present to the art lover or migraineur or anyone in your life! 2. This limited edition shirt will only be available for THREE MORE DAYS!! It would make me and my family so very very happy!! 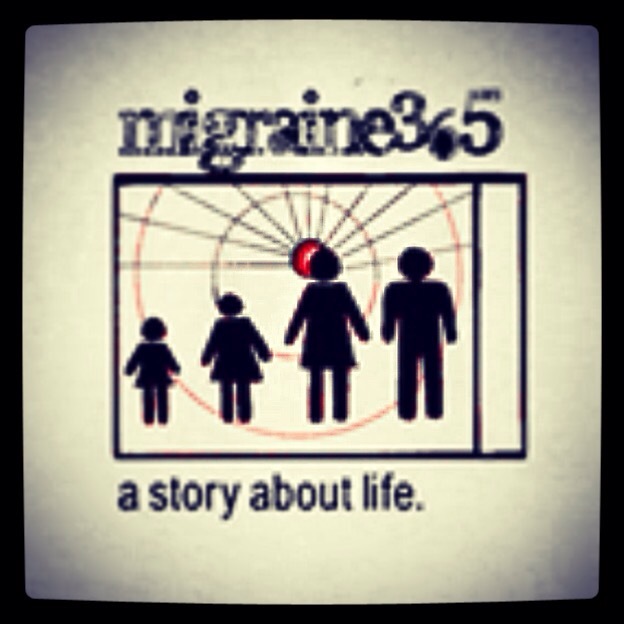 Please follow this link to Ink To The People to purchase your Migraine365 shirt now! 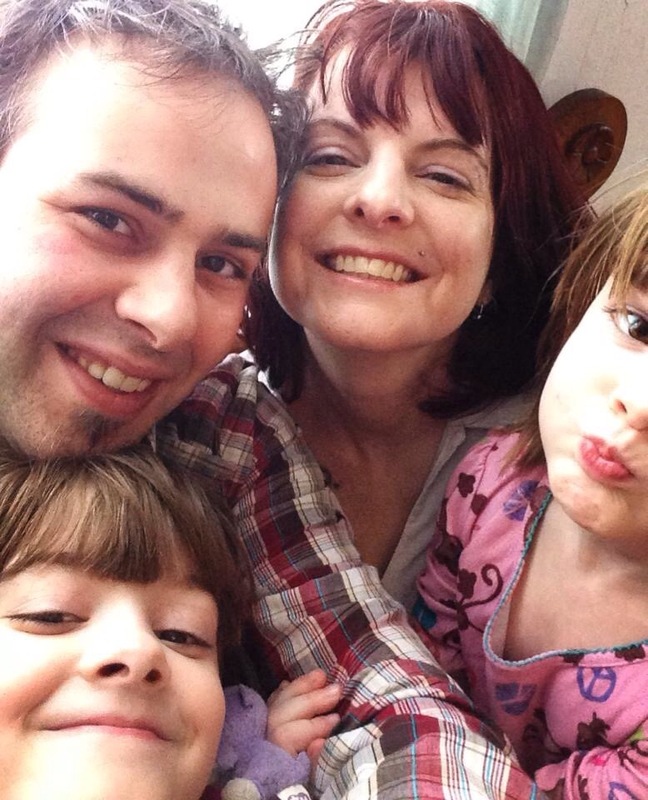 What a beautiful family!! I get paid on the first and am looking forward to contributing somehow, maybe with one of these lovely shirts. 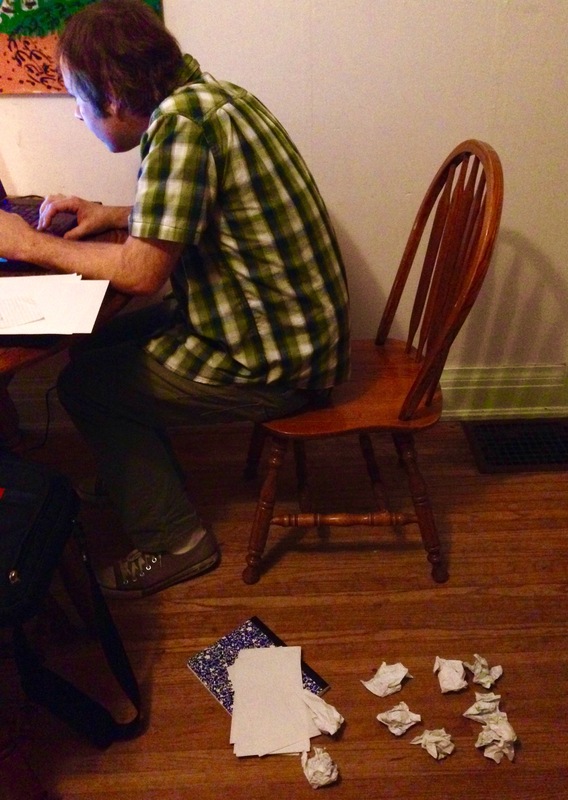 My brother was a cartoonist and I know all to well how expensive art supplies can be. Keep up the good work. I dont think the general public has any idea of how much invisible illnesses with chronic pain affect us and our families. Keep it up. ? Can’t wait for the book!! Thanks so much Maria! I’m sure we’ll have t-shirts again sometime 🙂 But I just re-read your comment and realized that if you get paid on the 1st, you will have time to get a shirt before the crowdfunding promotion is over! Also there are prints up to about Day 30 on our etsy site. 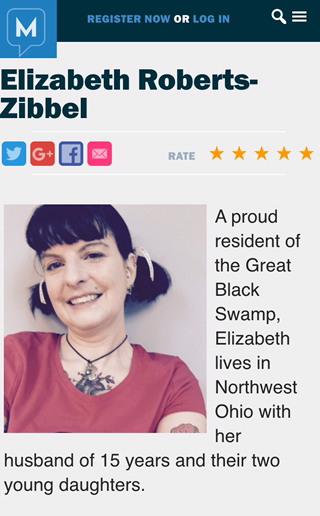 Thanks so much, again, for the kind words!